Rotor Clip’s technical sales engineers work with customers to find solutions for their application needs on a daily basis. The case below describes the simple but brilliant way a Rotor Clip engineer satisfied this customer’s special request while still being able to keep costs down. 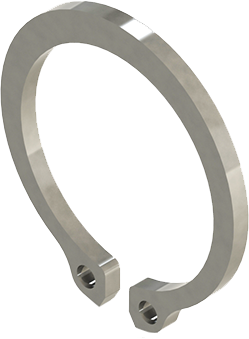 A customer approached Rotor Clip about modifying the standard DSR-24 tapered section ring. The customer asked Rotor Clip if it was possible to increase the thickness of the DSR-24 since the ring was having trouble holding current thrust loads. 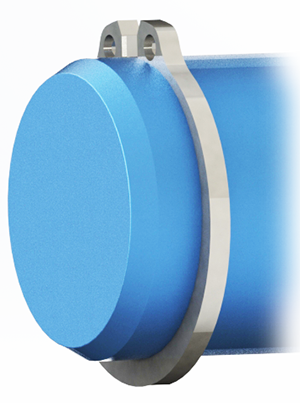 Designation: DSR - to DIN 471, Type: External, Heavy Duty ( shafts & pins) - DIN Metric, Size Range: 12mm to 100mm, Description: External SHaft Reinforced ring manufactured to DIN standards. 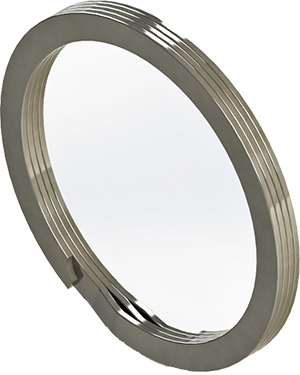 The DSR is an extra thick version of a regular DSH retaining ring. As such, it is stronger and can withstand greater thrust loads than its standard counterpart. However, to satisfy the customer’s request for a thicker ring, Rotor Clip would have had to produce new tooling for the custom part, which would result in cost increases, or use laser cutting. Increasing the thickness beyond the DSR standard would have also required changes to the max and min section to maintain a proper aspect ratio. These changes would have produced a ring that would not have proper spring properties and would not have sat tight in the groove after expansion over the shaft. With increasing ring thickness ruled out, Rotor Clip engineers suggested the customer use two DSR-24’s in an extra wide groove. However, this solution left room for error since using two separate rings might have caused quality issues if rings were left out during assembly. Rotor Clip’s engineers then offered a custom spiral retaining ring with 4 turns total, rather than the standard 2 turns, which doubles the thrust load attainable compared to the standard spiral ring. Even though an additional 2 turns were added to the ring there was no need for custom tooling, which keeps costs down. Custom, 4 turn version of a DCR-24 spiral retaining ring. This custom solution offered the customer everything they were looking for. 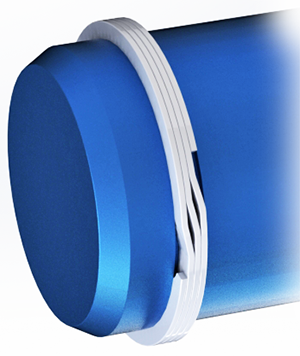 A single, quality part that meets the demands of the application without the extra costs usually associated with a custom design.. If you need assistance with designing the proper retaining rings, wave spring, or hose clamp into your application please contact us.